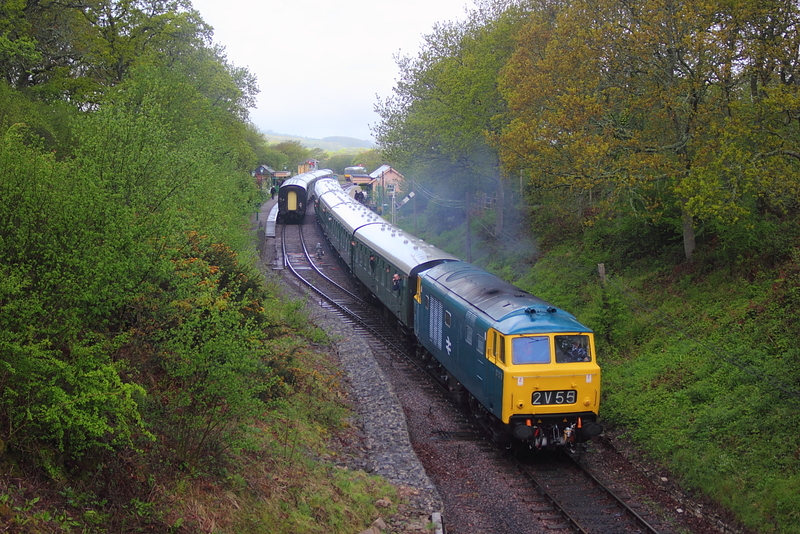 Originally intending to visit the Gala on the Sunday,i decided going by the forcast Saturday would be the better bet for any sunshine,however having arrived I couldn't even get out of the car due to a forcasted heavy shower,however this cleared the sky and rest of the day was under mainly sunny skies,so a wise move. 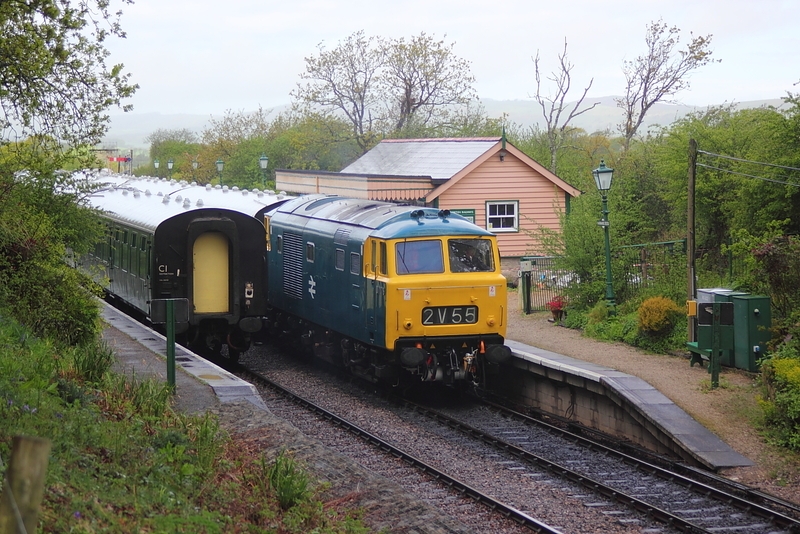 Seconds after this shot off D7076 departing Harmans Cross,the forcasted clearance after some early morning showers happened . 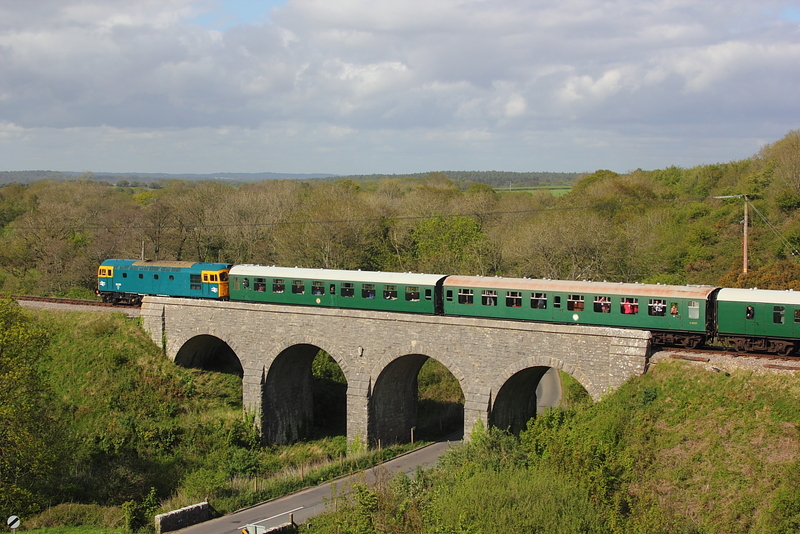 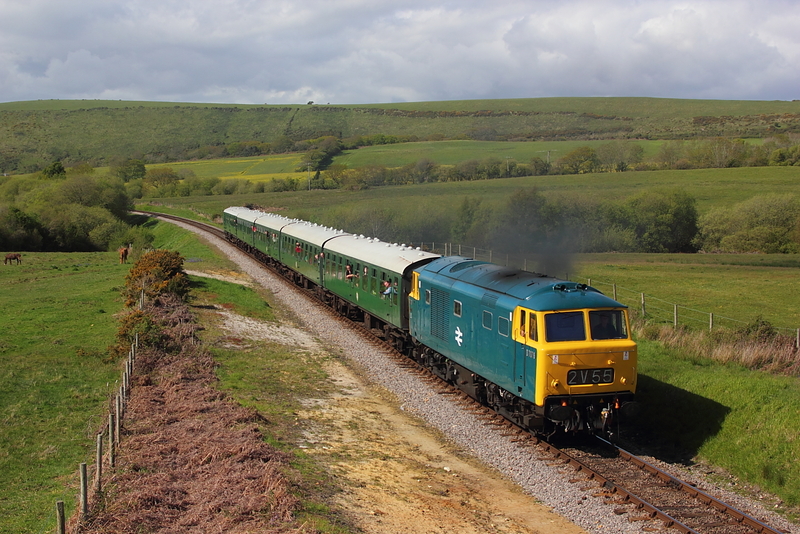 The working is the 10.00 Norden to Swanage service. 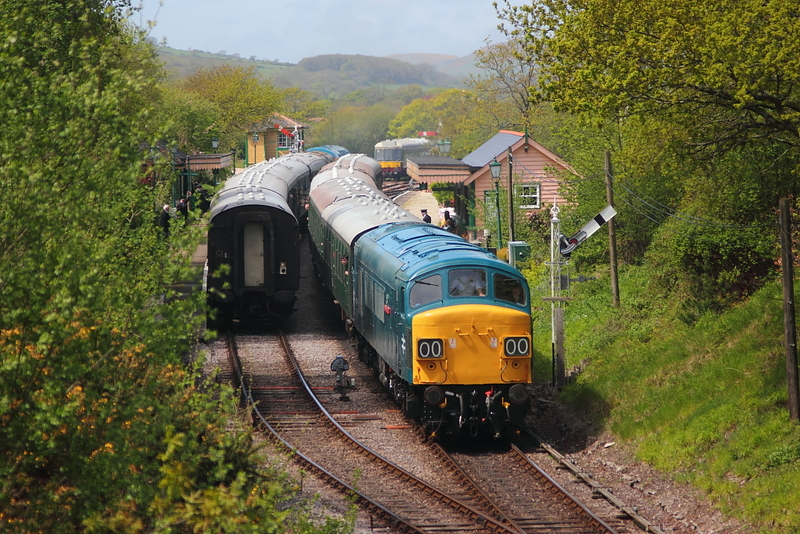 Having departed Harmans Cross,50035"Ark Royal" continues to Swanage with the 11.30 from Norden. 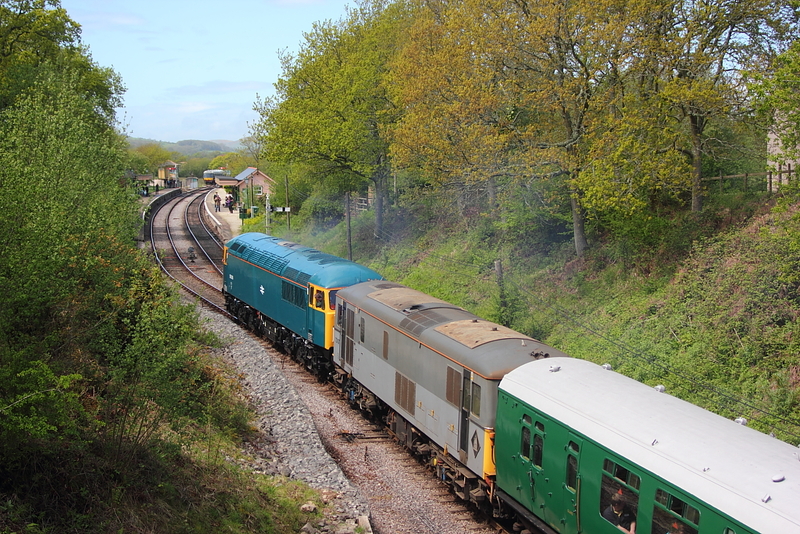 Slim jim 33201 passes the Harman Cross stop with the 11.50 Norden to Swanage service. 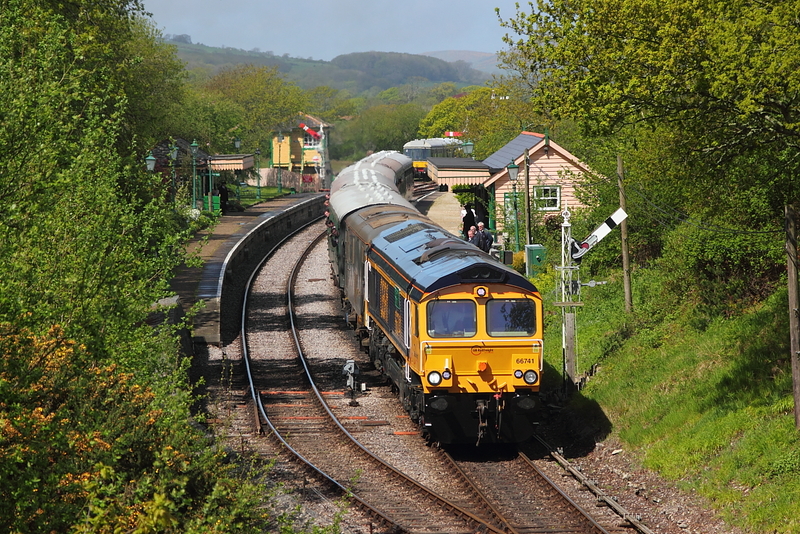 56006+ED 73107 approach the Harman Cross stop on 12.15 Swanage to Norden. 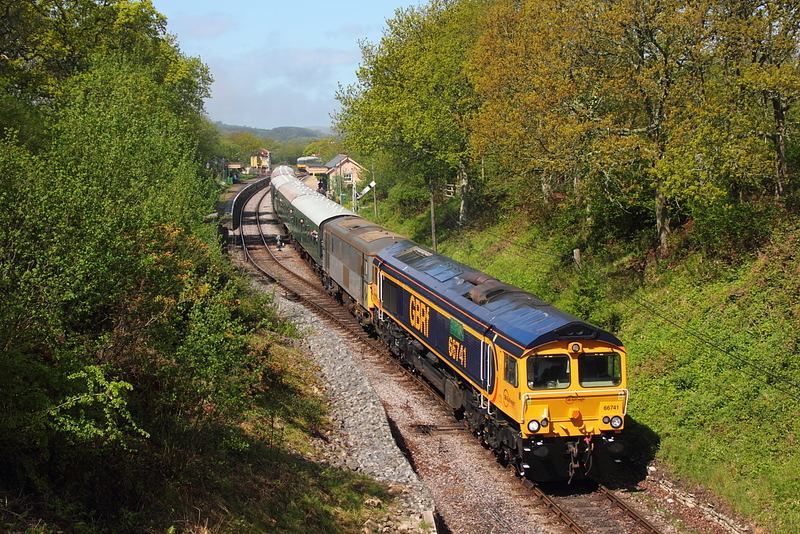 56006+73107 approaching Harman Cross station on the 12.15 from Swanage to Norden. 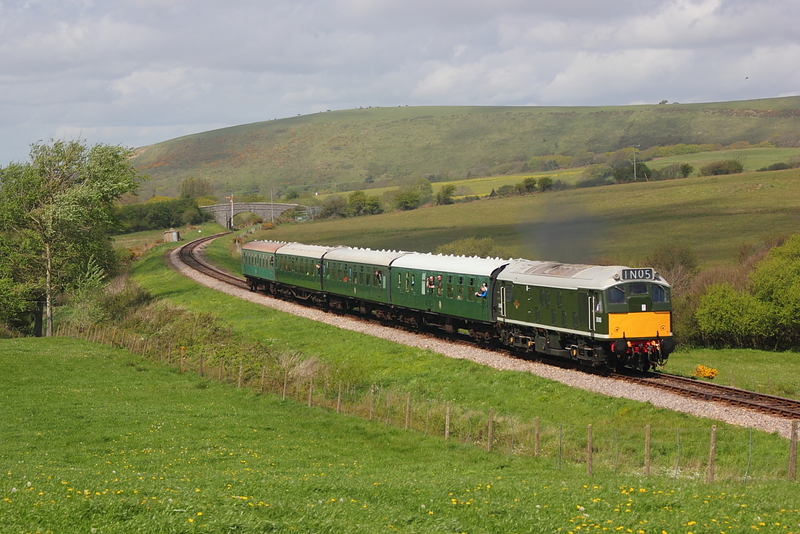 Departing from the Harman Cross stop,Peak 45060"Sherwood Forrester" continues towards Swanage with the 12.15 from Norden. 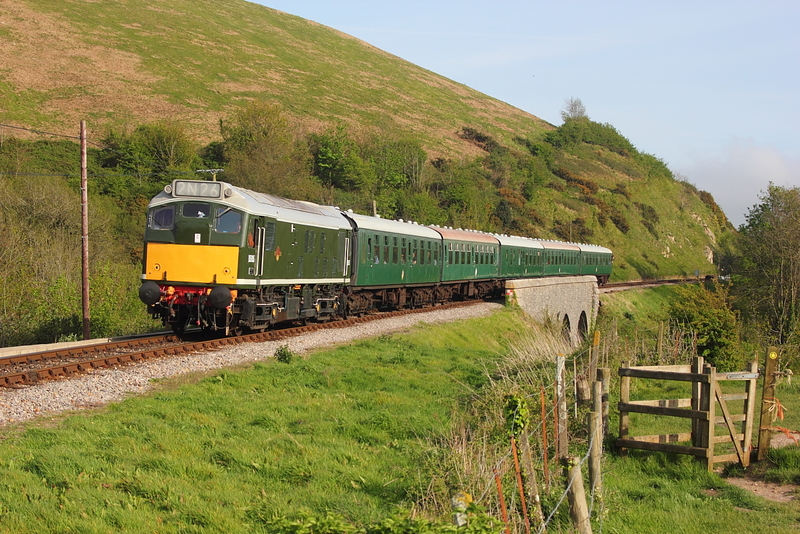 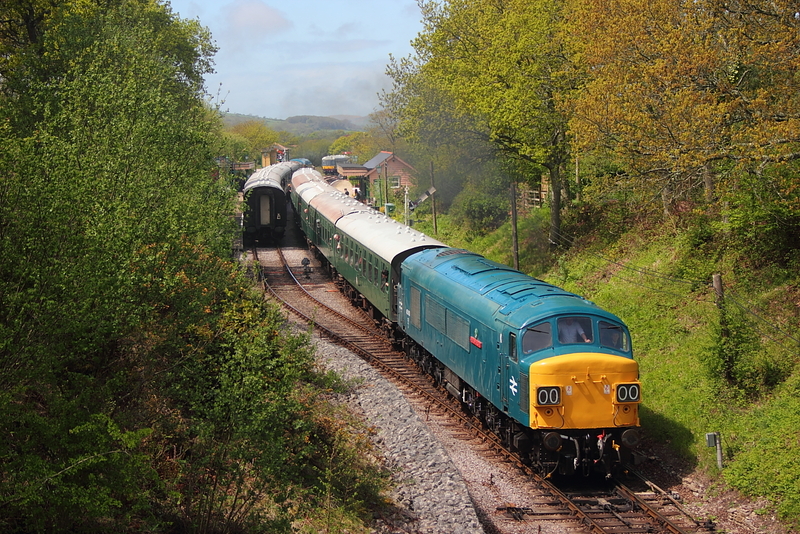 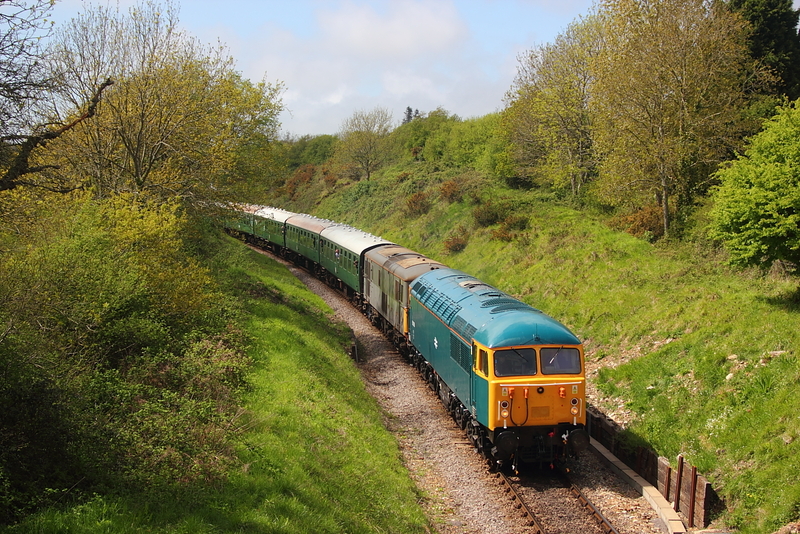 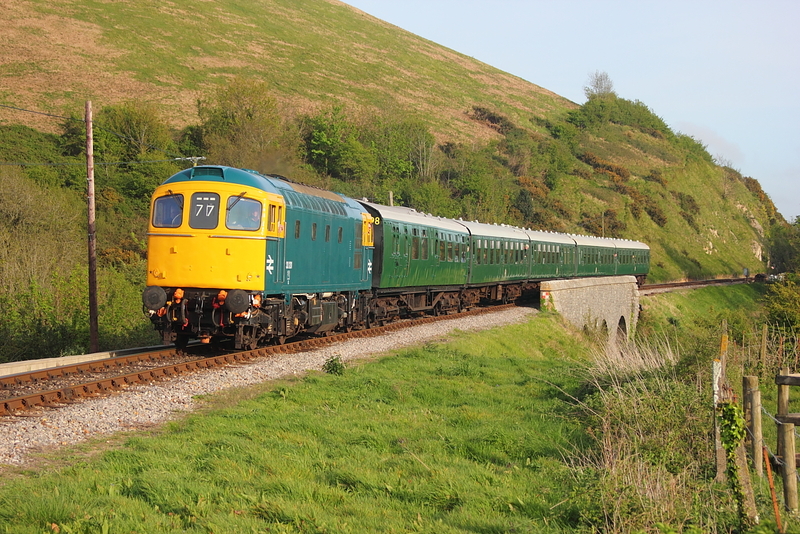 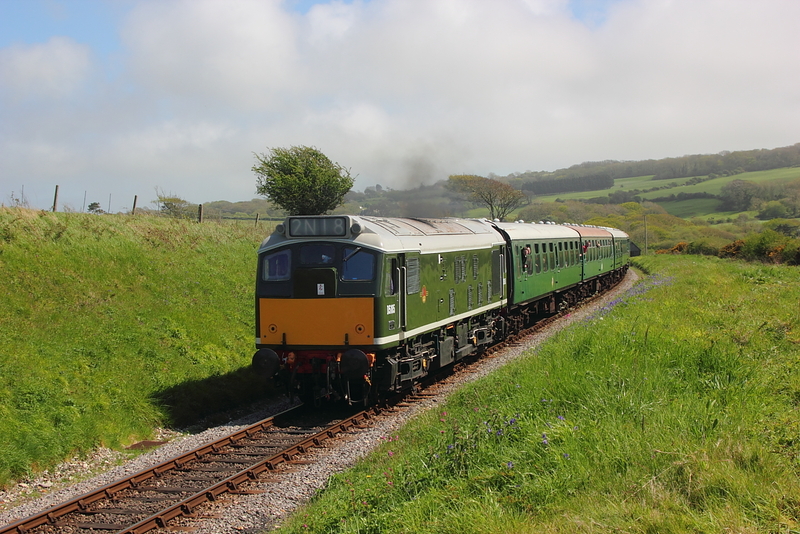 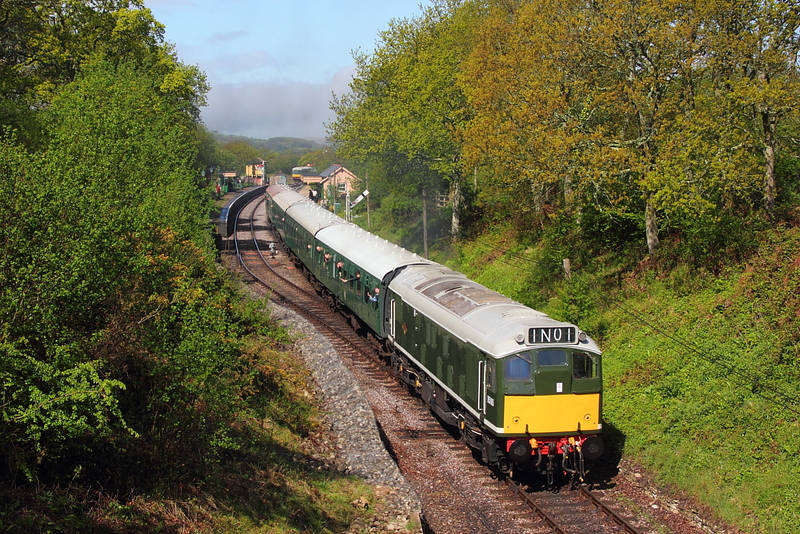 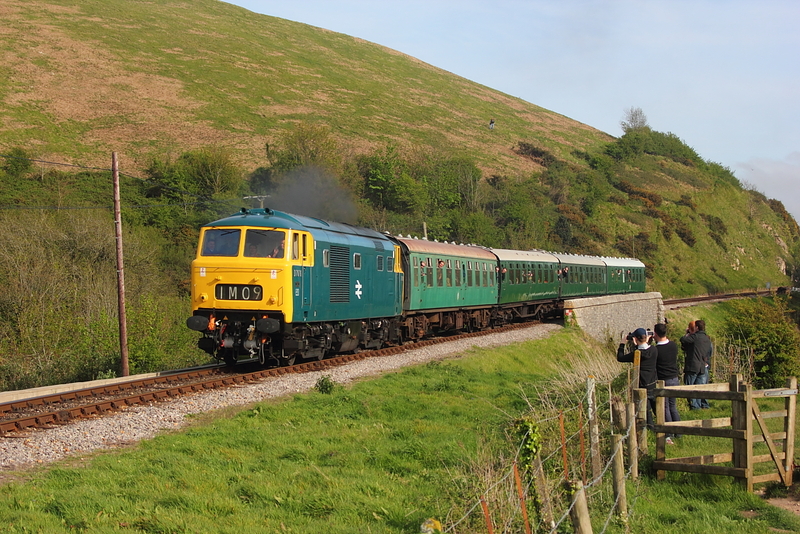 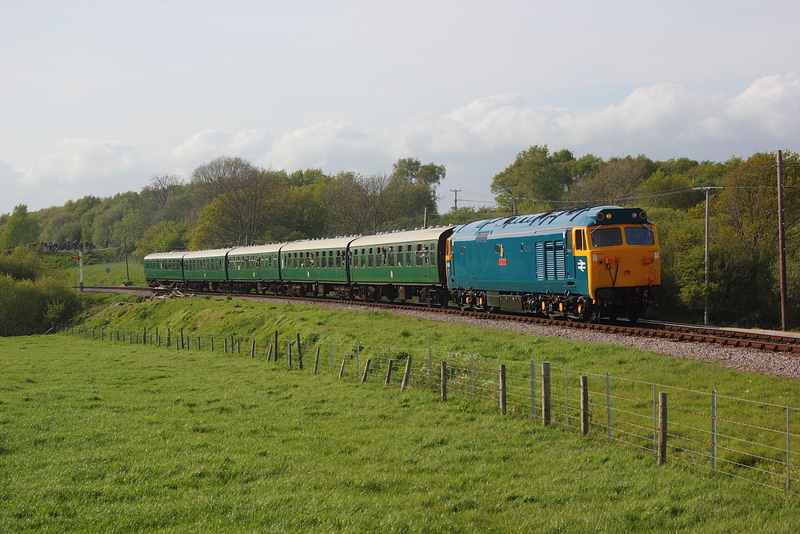 Hymek D7076 passes through Corfe Common working the 13.00 from Norden to Swanage. 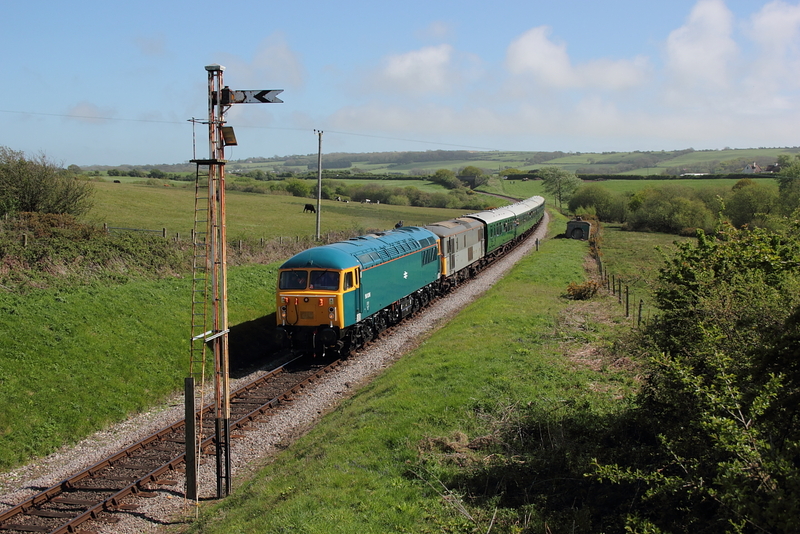 Passing the gallery standing in the field at Afflington farm,GB 66741"Swanage Railway"+33201 working the 13.00 Swanage to Norden service. 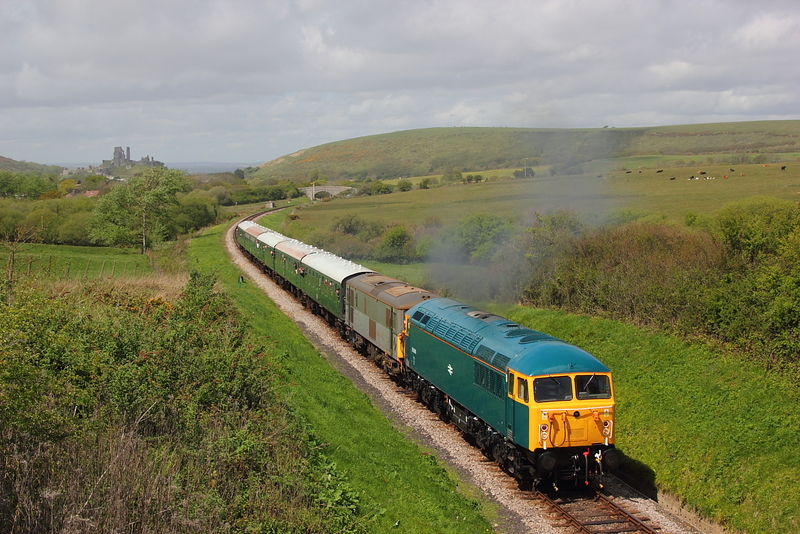 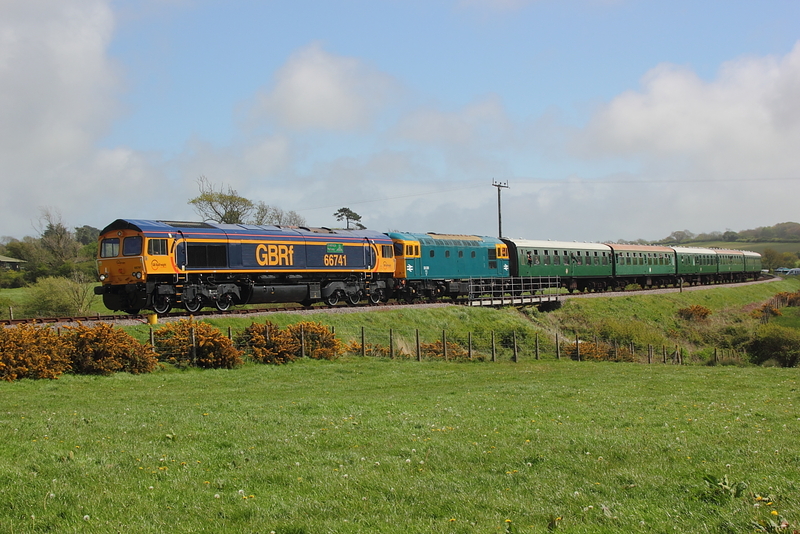 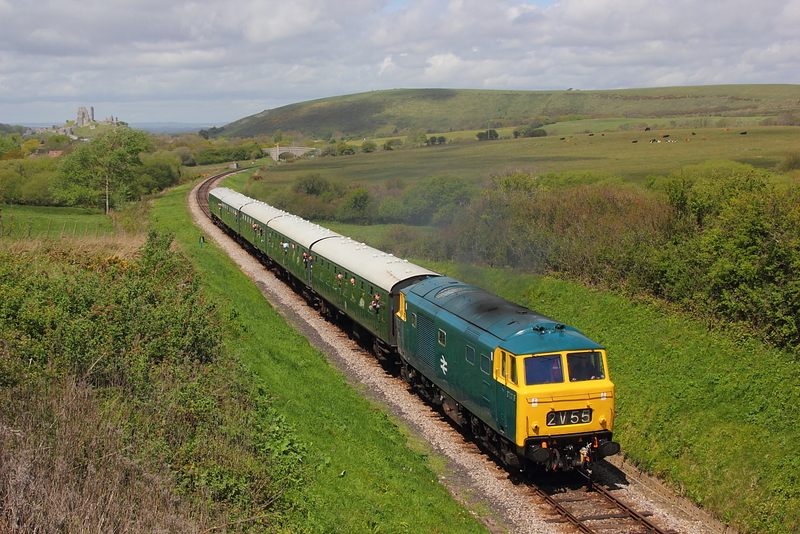 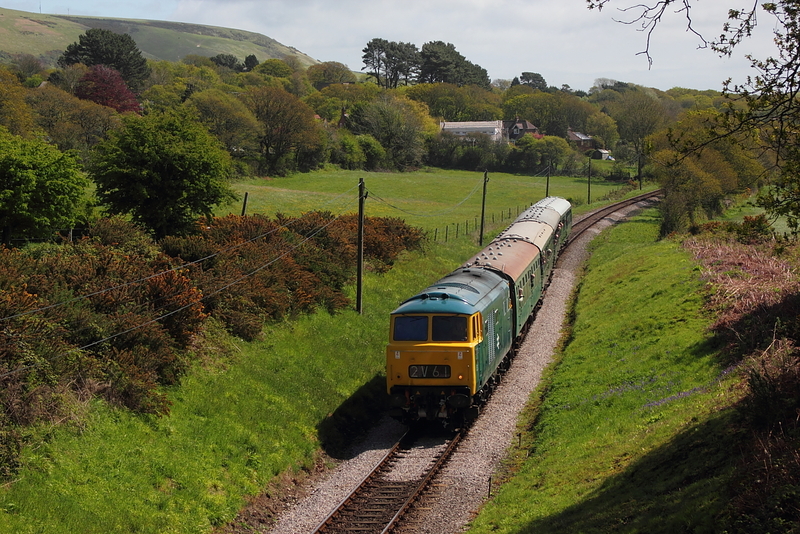 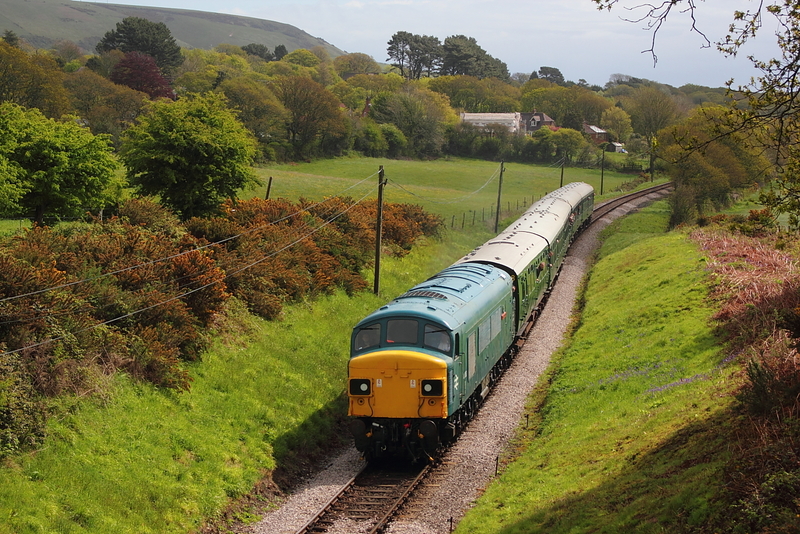 56006+73107 pass through Corfe Common on the 13.45 service from Norden going to Swanage. 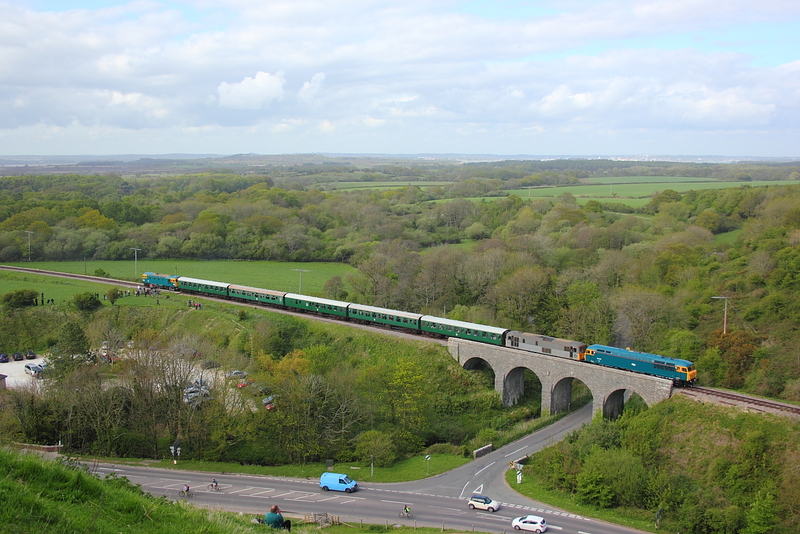 Having passed through Corfe Common ,56006+73107 are about to pass under the A351 roadbridge with the 13.45 Norden to Swanage aervice. 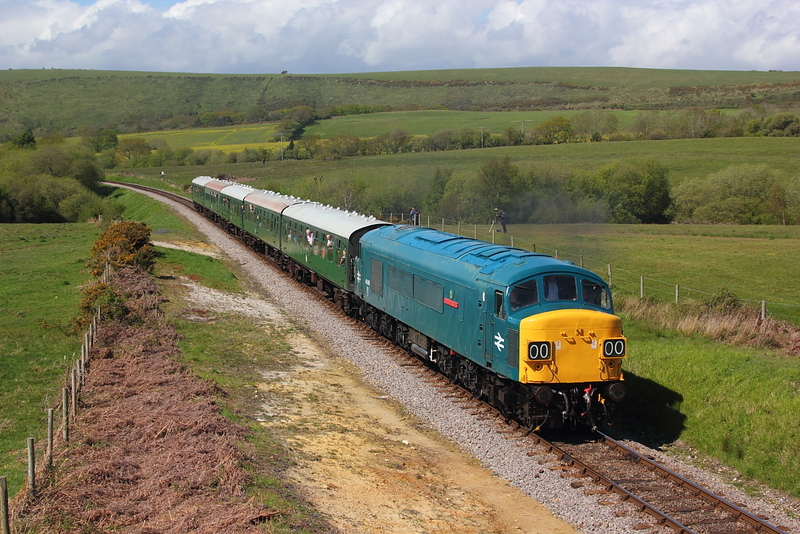 Back at Corfe Common and 50035"Ark Royal " passes with the 14.30 from Norden,heading for the Dorset resort of Swanage. 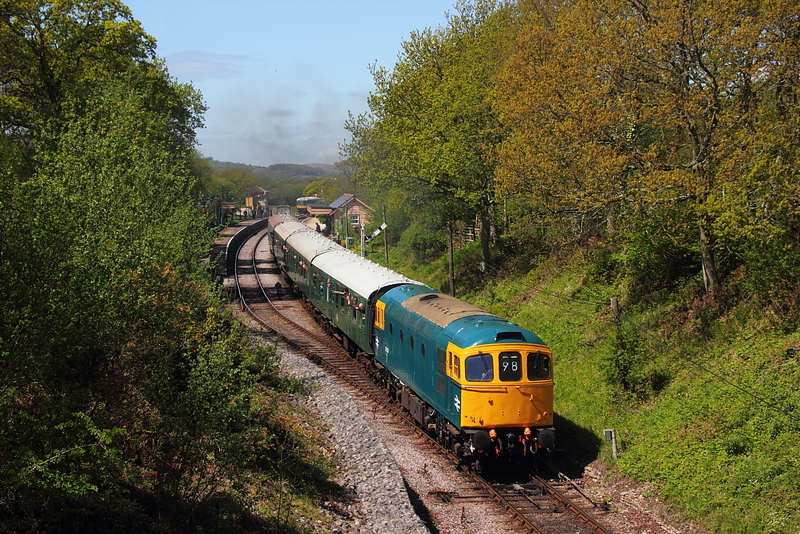 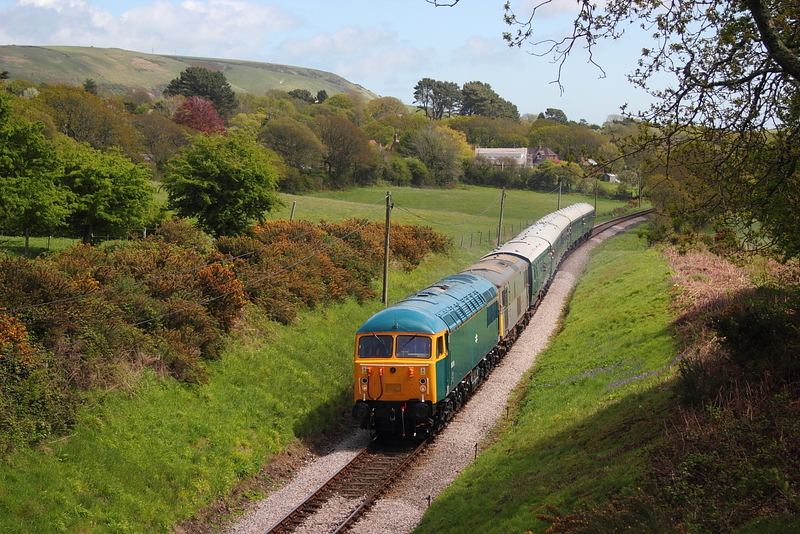 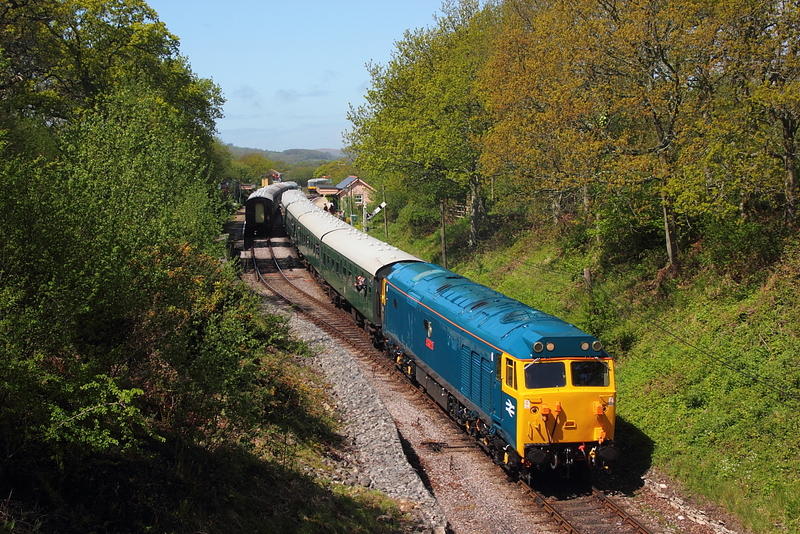 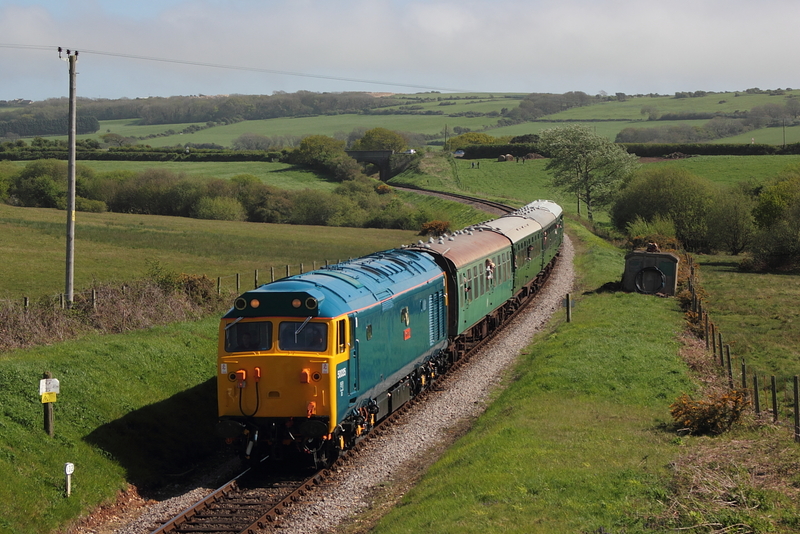 Another shot of 50035"Ark Royal heading towards Swanage with the 14.30 from Norden. 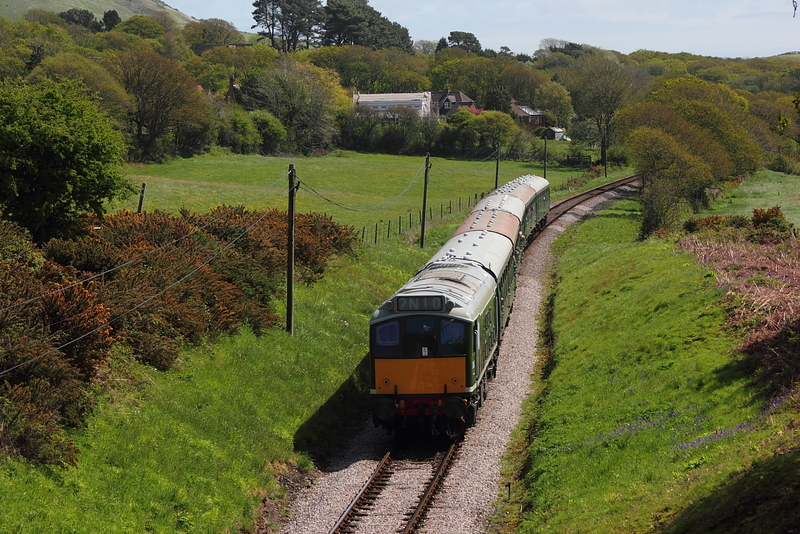 D5185 approaches Corfe Common working the 14.30 service from Swanage heading for the end of the line(at this present time) Norden. 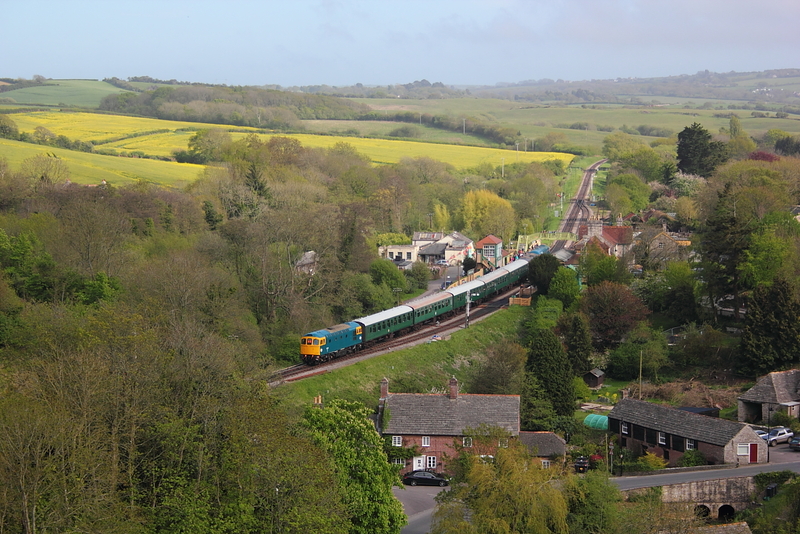 A long lense shot was used to capture Peak 45060"Sherwood Forrester"Passing through Corfe Common with the 15.15 Norden to Swanage service.A look at the next image of the same working,will explain the previous long tele shot,and confirm what my fears would be. 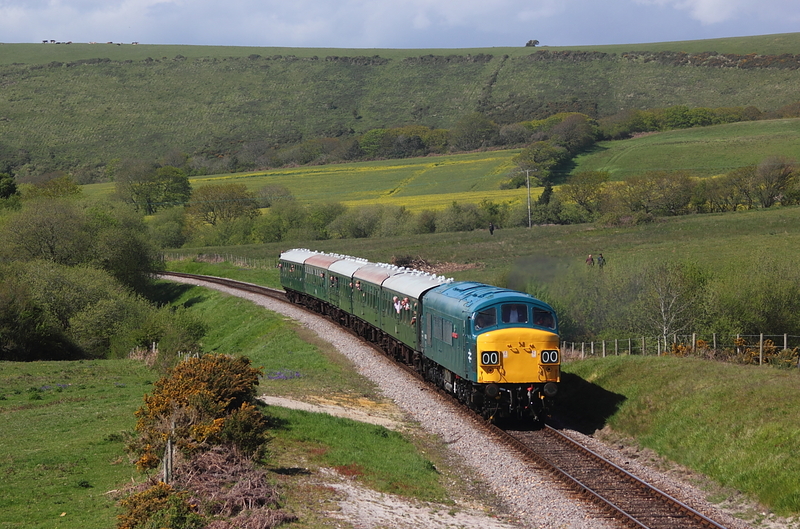 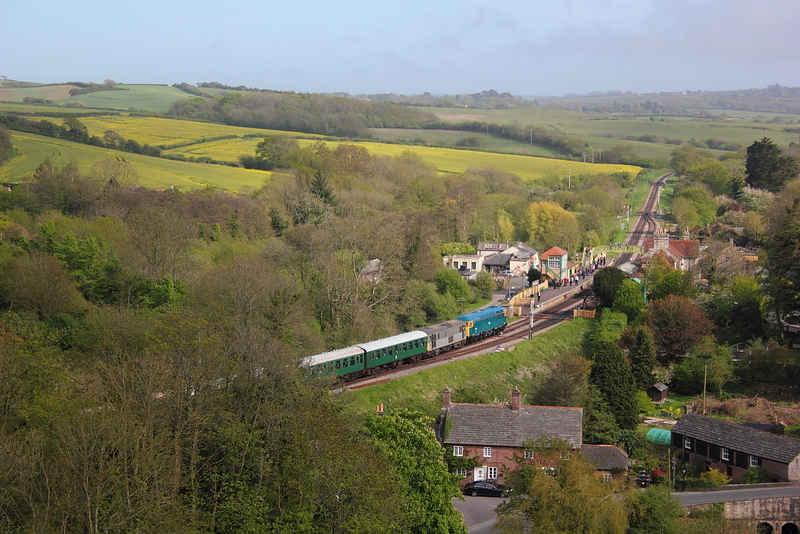 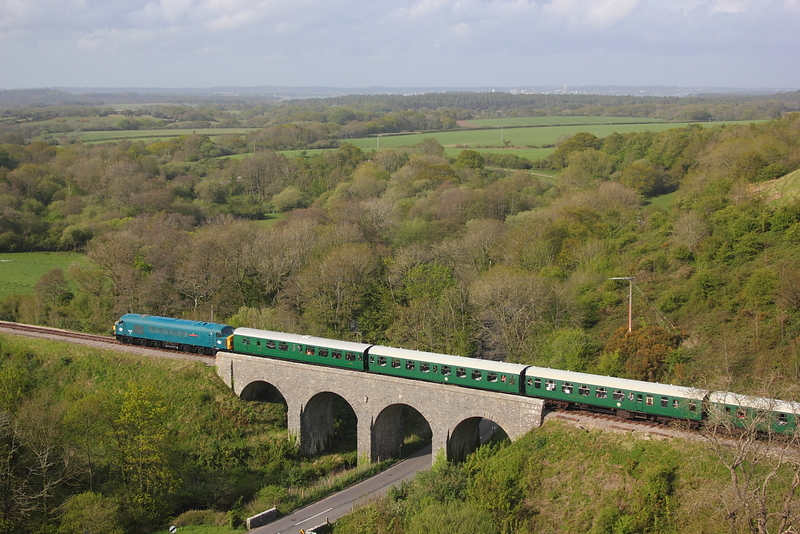 Iknow everyone is entitled to have a shot,but why arrive and stand on the wrong side,whereas everyone else got tripods sticking out of the roof of 45060"Sherwood Forrester" passing Corfe Common on the 15.15 Norden to Swanage service. 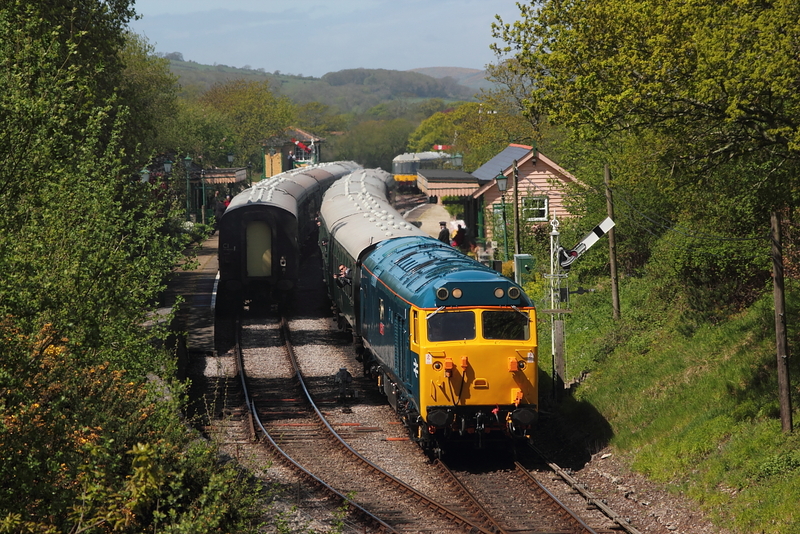 56006+73107 15.15 Swanage to Norden at Corfe Common,and luckily the same tripod is not so noticeable in this shot. 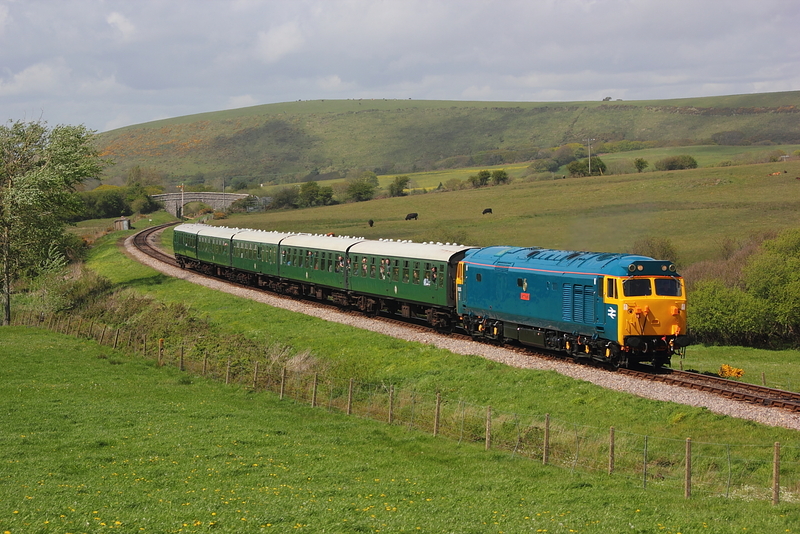 Passing the same location as the previous image,50035"Ark Royal" working the 15.46 Ex Swanage heading to Norden. 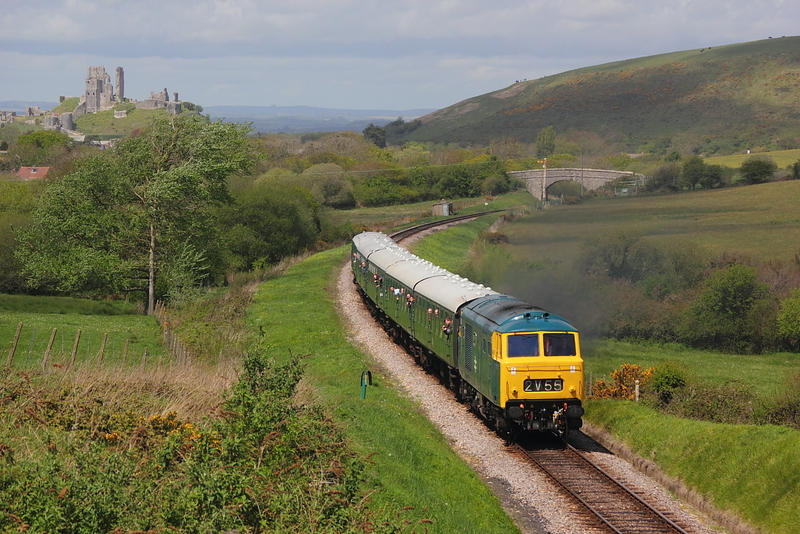 Although missing the first two turns in the morning due to poor weather,the rest of the days shots would prove to be sunny ,with a few close shaves thrown in,however as 56006+73107 passed by the light disappeared and standing on Corfe Casle mount,with the huge castle remains blocking any view off how long this would last was bloody frustrating,to say the least,however by the time the 16.45 departure from Norden to Swanage reach the Station a couple of minutes away,the sun was back out again. 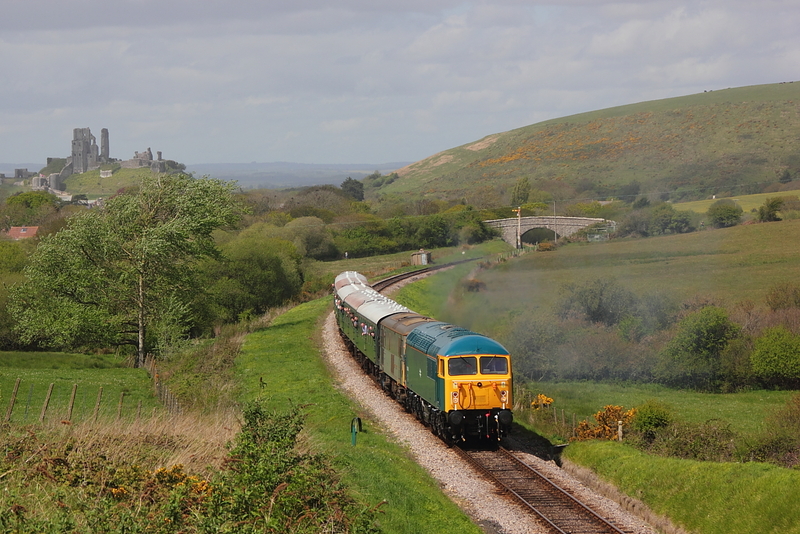 33201 brings up the rear of the 16.45 Norden to Swanage service as 56007+73107 on the leading end approach Corfe castle,taken from the Corfe Castle mount vantage point. 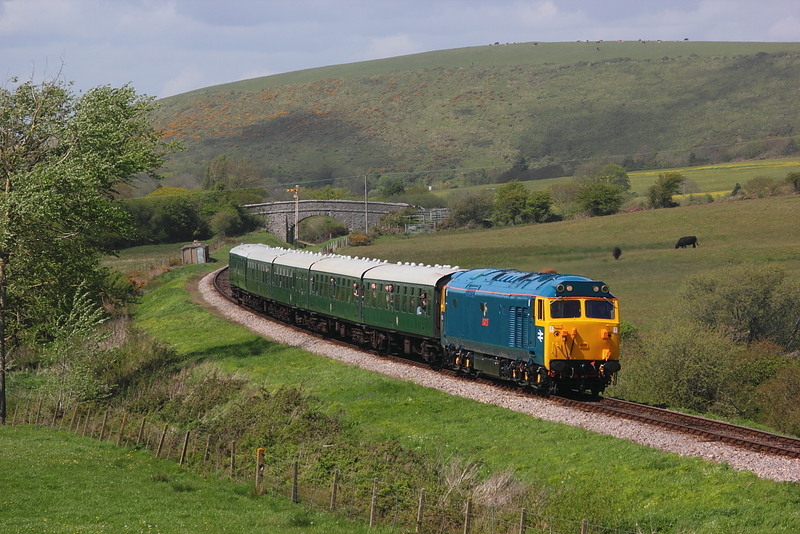 Having just left its 17.30 starting point at Norden,50035"Ark Royal" passes at Corfe heading to its Swanage destination. 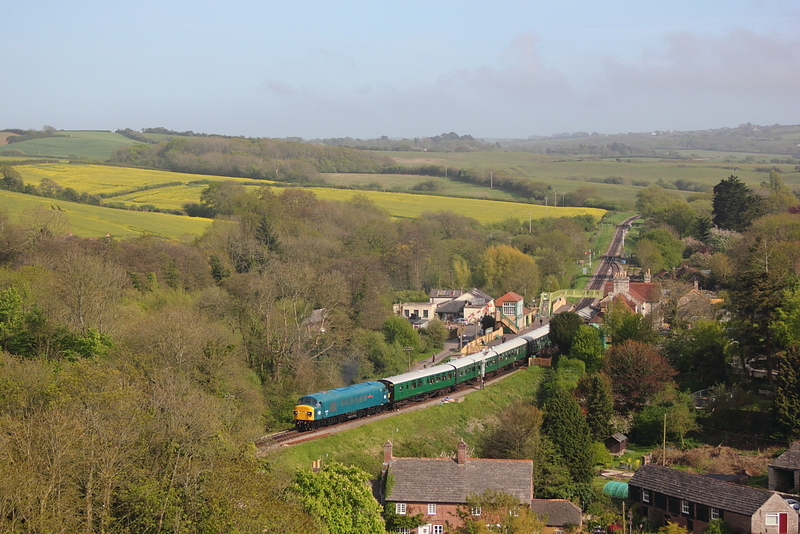 This shot of 33201 passing Corfe on the 18.15 Swanage to Norden,would prove to be the last one of a enjoyable sunny day.